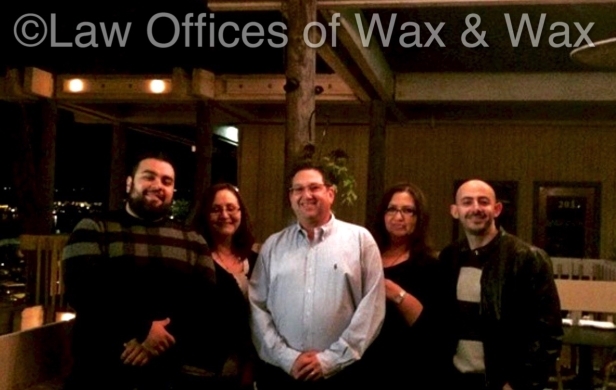 At the Law Offices of Wax & Wax, our seasoned Los Angeles attorneys specialize in the area of workers’ compensation claims and Social Security Disability (SSD). We are proud to bring a wealth of experience, knowledge, and legal ability to the courtroom on behalf of clients who have been injured or disabled due to work-related accidents. Recognized by our peers and clients alike, our Glendale workers’ compensation lawyers have earned some of the legal profession’s most impressive accolades, including an AV® Preeminent™ Rating by Martindale-Hubbell®, and selection for inclusion in the listing of California’s Super Lawyers®. This list is reserved for the top 5% of trial attorneys in their given field of practice. As Board Certified Legal Specialists in the area of workers’ compensation, we have earned the ability to call ourselves true legal experts. We can use our unique insight of the laws to your advantage. If you would like to speak with us confidentially, contact us today at (818) 946-0608 or request your free initial consultation to get started.